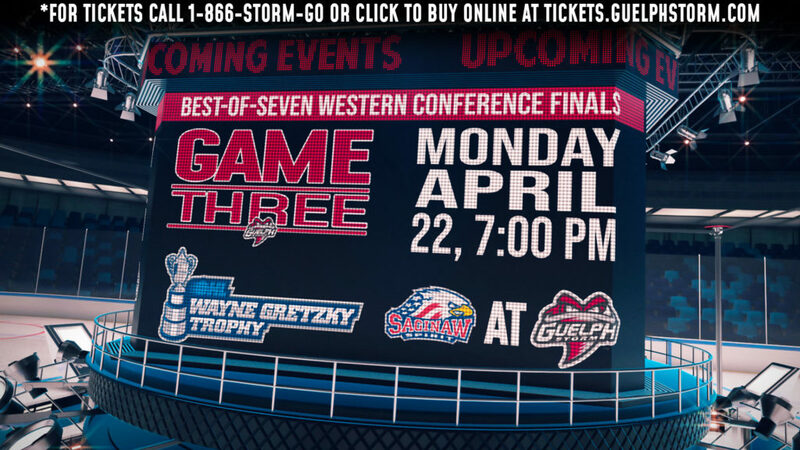 Following a 5-1 victory in the 2016-17 home opener on Friday night, the Guelph Storm look to take game two of the home-and-home series visiting the Saginaw Spirit. 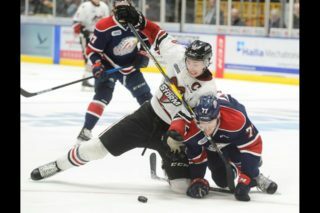 After a hard-fought, spirited battle on Friday night, the Storm and Spirit are set to do it all over again with the Storm visiting the Saginaw spirit for a 7:05 PM puck drop. 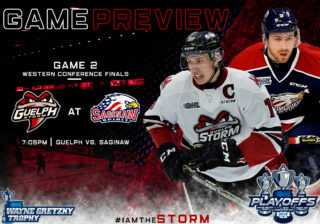 The Storm took game one of the home-and-home set and will be looking to complete the sweep on Saturday night. Saginaw will look to rebound as they search for their first win of the season. After a great first game of the season, Liam Stevens will look to pick-up where he left off. Finding the net twice on Friday night, Stevens was all over the ice and had plenty of scoring opportunities and was close to adding more. The reigning Co-Rookie of the Year is off to a great start and is ready to improve on his rookie season. 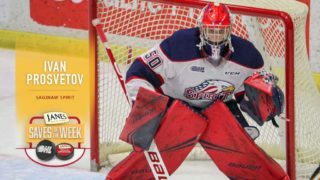 On the back-end second overall pick in the CHL Import Draft, Dmitri Samorukov was impressive in his OHL debut, earning his first career assist eight minutes into his OHL career. Samorukov wasted no time getting involved and showed that he likes to play a mean physical game, frustrating opposing forwards on the attack. Another bright spot on the blue line for the Storm on Friday night was veteran, Austin Hall. Playing an increased role with Noah Carroll and Garrett McFadden at NHL camps, Hall played a strong defensively sound game, consistently shutting down opposing attacks. He also chipped in offensively picking up an assist on Nate Schnarr’s shorthanded goal. Saginaw’s first goal of the season came via a wrist shot from Mike Davies during the second period of Friday night’s game. The feisty winger created several scoring chances for Saginaw. 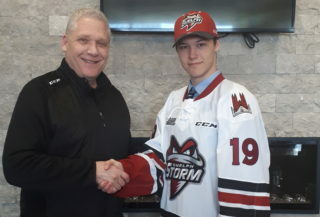 Now in his third OHL season the Thorold, Ontario native will look to build on to his 20 points he scored last season after being traded to the Spirit. While missing some of their offensive firepower due to NHL training camps, centre, Kris Bennett was an offensive threat throughout Friday’s game, firing the puck on net a total of five times. The Brampton, Ontario native also picked up an assist on Davies goal. Bennett also frustrated opponents in the faceoff circle winning 53% of his draws. Marcus Crawford returned from being at the New Jersey Devils training camp and played an important role on the depleted Spirit blue line due to players being at NHL camps. 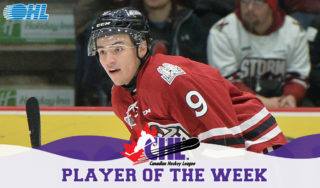 The Ajax, Ontario native played a strong defensive game, with a plus/minus rating of one. He also created some offensive chances getting the puck on net three times during Friday night’s game. Saturday night is Saginaw’s first game at home for the 2016-17 season. The Storm returns home to meet the Hamilton Bulldogs next on Sept. 30.